Ninety years ago today, the British political mould was shattered by the election of the first Labour government. 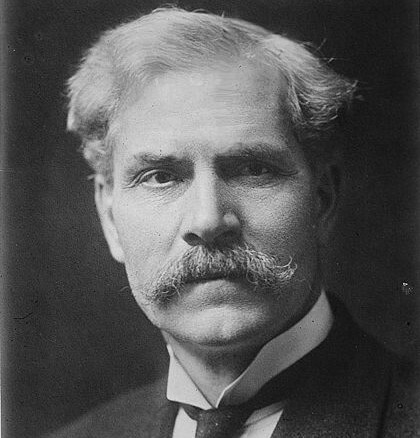 After an inconclusive election on 6 December 1923 that the ruling Conservatives lost but nobody won, Ramsay MacDonald took office as both Prime Minister and Foreign Secretary of a minority government on 22 January 1924. The Annual Register called it ‘A revolution in British politics as profound as that associated with the Reform Act of 1832’. Churchill called it ‘a national misfortune such as has usually befallen a great state only on the morrow of defeat in war’. The right-wing press professed disbelief that a group of socialist ‘wild men’, whose party had been in existence for less than twenty years, could take charge of Britain and her Empire. The Daily Mail begged Liberal leader Asquith to save society by forming a coalition to keep Labour out. But on 21 January 1924 Prime Minister Stanley Baldwin announced his resignation in the House, and ‘Thank God for that!’ rose from the Labour benches. The following day Britain had a Labour government for the first time. MacDonald and his Cabinet (assembled from a limited talent pool) were sworn in as ministers, the wild men limiting their wildness to a respectful refusal to wear knee breeches. There is no doubt that the election results, and the responsibility of taking office, came as a surprise to the Labour party, though MacDonald at least was quite sure it was a responsibility that could not be shirked. 22 January was a milestone in British political history. But what is the context of this ‘revolution’? In January 1924 both the traditional parties saw a Labour government not as a national catastrophe but as a political expedient. Baldwin, whose decision to call a snap election over tariff reform in 1923 had misfired, thought defeat would unite the Conservatives and strengthen his own position. Asquith had similar aspirations for the Liberals, who had been losing electoral ground to Labour since the end of the First World War. Both parties were internally divided and (like Labour) short of good people. Both saw advantage in ‘allowing’ Labour to take office for a short period—MacDonald and his colleagues would, they thought, soon show themselves incapable of governing. The experiment, Asquith declared with supreme miscalculation, could ‘hardly be tried under safer conditions’, for ‘it is we who really controls(?) the situation’. This was the political context in which Labour took power on 22 January 1924. But Party politics were not the only reason Conservative and Liberal grandees thought a Labour government might be a good thing (for a while). Five years after the end of a devastating world war, peace and prosperity were little in evidence. Britain and Europe were plagued by recession, inflation and insecurity. The young League of Nations was already proving ineffectual, not least because the US refused to sign up. Disarmament remained a worthy aspiration undermined by a nationalism inflamed by contentious peace settlements. In Britain, politicians knew that high unemployment, industrial unrest and deflation could only be tackled successfully if external factors such as debt settlement and trade expansion could be settled. But international agreement on intractable issues like reparations, French security and military control of Germany was elusive. Lack of such agreement made the protection of British interests in the Middle, Near and Far East more difficult. Relations with Britain’s closest ally, the USA, were fractious, while a Bolshevik government that had defied expectations (and hopes) by remaining firmly in power in Russia since 1917, pursued an aggressive campaign of espionage and subversion against the British Empire while insisting on being treated as a ‘respectable’ power. Lord Curzon, Foreign Secretary since 1919, had pursued British interests on the international stage with some skill, but difficult issues remained unresolved. The US was driving a hard bargain on British war debts, while France and Belgium refused to honour their debts to Britain until German reparations payments, suspended when those powers occupied the Ruhr basin in January 1923, were resumed. Allied military control in defeated Germany was problematic and ineffective, and there were worrying signs of Russo-German military links. Yet despite professing repugnance for the Bolshevik regime, many countries, including Italy under its Fascist leader Mussolini, contemplated de jure recognition of the Soviet Union to secure favourable trade terms, whereas Curzon had spent 1923 in counter-productive attempts to shame the Soviet government into better behaviour. By the end of 1923, Conservative foreign policy was at a stalemate and the Liberals had no better ideas. They were happy for someone else to take the strain. Labour’s foreign policy was no surprise to the older parties: as foreseen by Baldwin and Asquith, it was in many respects indistinguishable from theirs. Addressing the House when Parliament reconvened on 12 February 1924, MacDonald announced that the watchword of the government would be confidence (securities had risen in value since Labour took office). For some time to come, he said, ‘the bargaining power of the British Foreign Secretary would depend not on military force, but on the reasonableness of the policy which he presented’. Policy should be based on universal principles—democracy, human rights, open diplomacy—underpinned by national interest and parliamentary consensus. To a war-weary country, this seemed attractive; to the political classes, unexceptional. MacDonald was unlikely to do anything rash and might have some success. And if things went wrong, Labour could be blamed. It is generally agreed that MacDonald’s management of foreign affairs during the nine months Labour was in office was both inspired and effective: a notable achievement was the conclusion in August 1924 of agreements to implement the Dawes Plan on German reparations. Apart from the importance of such issues to British interests, MacDonald knew Labour’s reputation was at stake. MacDonald did more than enough to prove Labour’s competence in foreign affairs in 1924. But it was relations with the Soviet Union that were to prove Labour’s downfall. De jure recognition was one of the first acts of the government, as had been promised. MacDonald was well aware of Soviet shortcomings, and rejected the spread of Bolshevik ideas in the Labour movement—‘like trying to dance a Russian ballet in kilts’, he said, well aware of the need politically to distance his government from the excesses of communism. Yet in the wider labour movement there was considerable fraternal sympathy for the revolution, and for this first Labour government, as for many of its successors, relations with the Soviet Union were ambivalent and fraught with difficulty. For MacDonald, the real driver in 1924 was Britain’s need to engage with a significant international player, the Soviet Union, where the Bolshevik regime was firmly in the saddle. 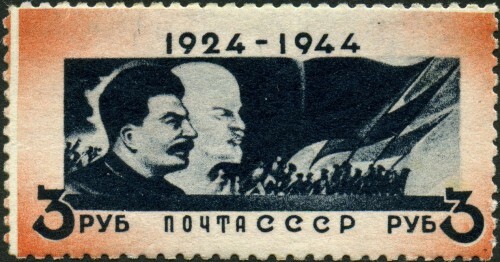 Although Lenin died on 21 January, the day before Labour took office, he was succeeded by the triumvirate of Kamenev, Zinoviev and Stalin, the latter already well on the way to outmanoeuvring his colleagues and taking a grip on power that was to last till his death in 1953. Labour took by the tail the Soviet tiger that neither Conservatives nor Liberals were willing to grasp, relieving them of responsibility for a step that was politically expedient but philosophically repugnant. Draft Anglo-Soviet treaties were signed in August 1924, but a combination of hostile propaganda in both countries and the City’s refusal to contemplate a loan doomed them to failure. MacDonald’s attempt to normalise relations also provided the opportunity for both Conservatives and Liberals to attack the Labour government and damage its reputation by a campaign of press vilification and political dirty tricks (including making use of the forged Zinoviev Letter in October 1924 during the election campaign). These attacks left a lasting imprint on Labour, although the real reason for the government’s defeat in October 1924 was that the Conservatives had resolved their internal differences and the Liberals removed their temporary support for Labour. Yet the first Labour government had lasted far longer, and achieved more, than anyone, including Labour itself, anticipated in January 1924. The political landscape in Britain had changed permanently.